Temporary Housing | Furniture Rentals Inc.
Are you renting furniture to fully-furnish an apartment for temporary housing? Consider renting all-inclusive through our corporate housing partner, Select Corporate Housing! 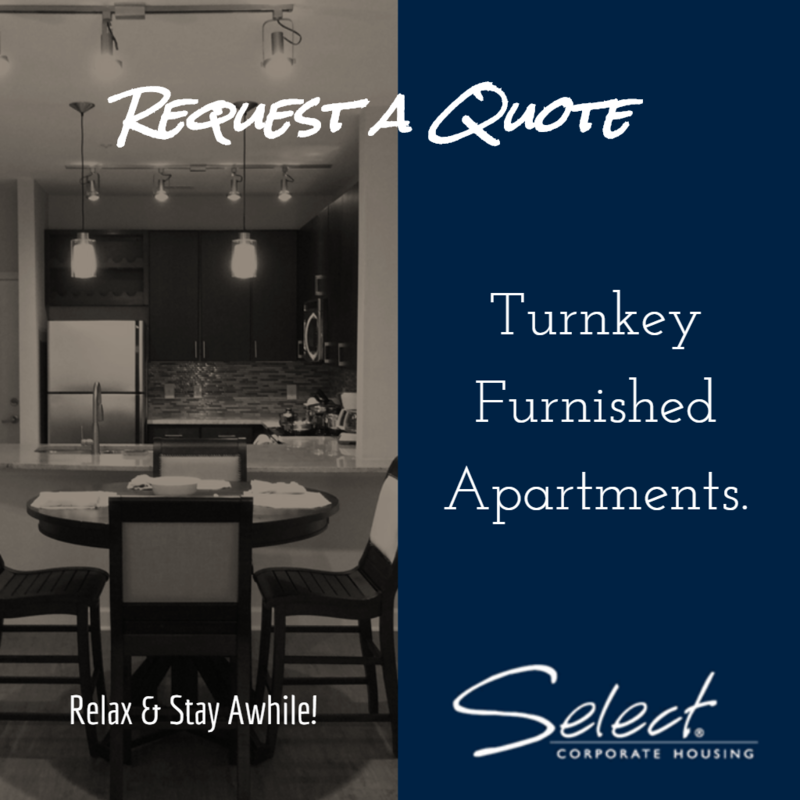 Select Corporate Housing offers all-inclusive and fully-furnished extended stay apartments in luxury apartment communities throughout the Southeast. These all-inclusive rentals are furnished with premium furniture, housewares, appliances, and electronics from Furniture Rentals, Inc. AND include rent, all utilities, cable, and wireless internet - all consolidated into one monthly total. Contact a Select Corporate Housing relocation specialist at 800.896.7290 or visit Select Corporate Housing online to request a quote today.